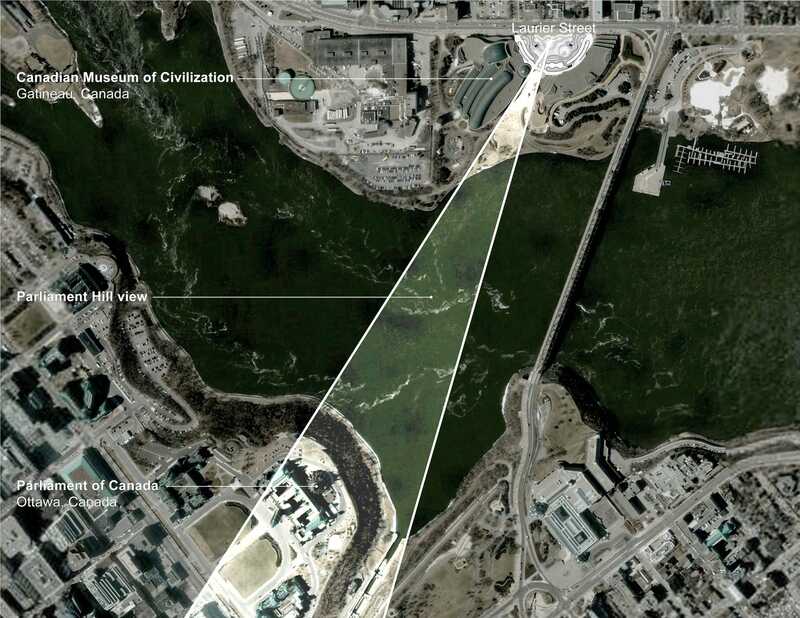 景观广场加拿大Claude Cormier + Associés Inc. 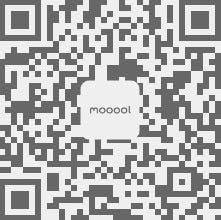 Thanks Claude Cormier + associes for authorizing the publication of the project on mooool. Photos provided by Claude Cormier + associes. 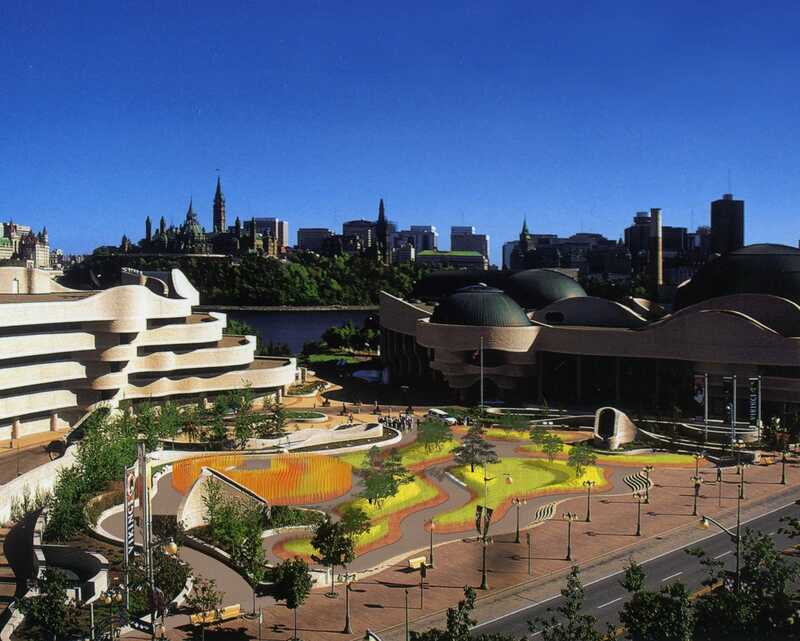 Claude Cormier + associes：The Canadian Museum of Civilization, now Canadian Museum of History, was designed by the internationally-recognized Canadian architect Douglas Cardinal and opened in 1989. Rich in symbolism, eloquent curves, and nurturing design, it is the most visited museum in Canada. 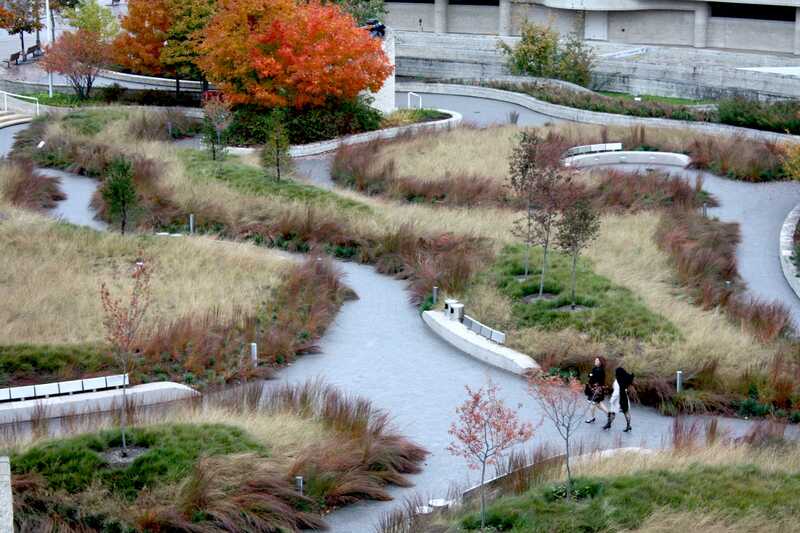 Cardinal is a landscape-inspired architect. 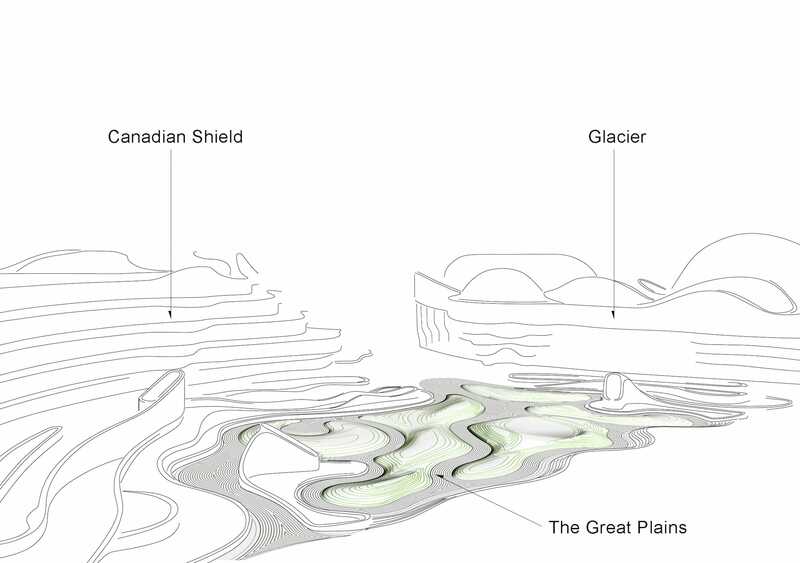 In his Design Statement for the museum, he writes that the building would “speak of the emergence of his continent, its forms sculpted by the winds, rivers, and glaciers.” The Great Plains that resulted from retreating glaciers are represented in the Plaza at the front of the Museum. 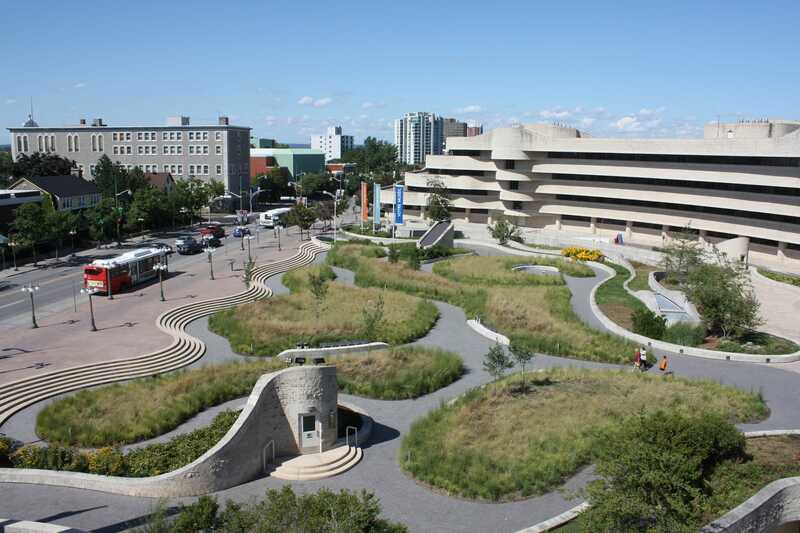 With the approval of Douglas Cardinal, the Museum’s administrative board, and ultimately the National Capital Commission, the site was reconstructed as a truly sustainable Plaza with a renewed narrative based on the Great Plains: The Urban Prairie. 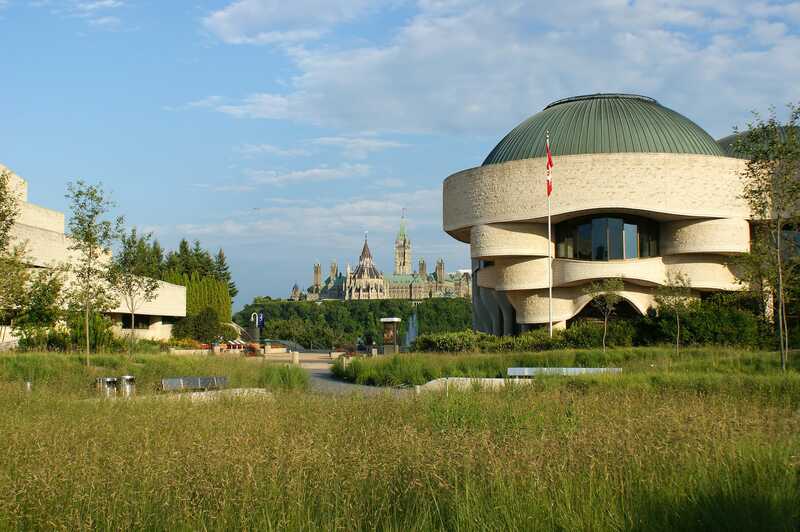 The two buildings that comprise the Canadian Museum of History were designed to embody signature features of the Canadian landscape – the Museum building a reference to glaciers, the Curatorial wing to the Canadian Shield and the Plaza to the Great Plains. 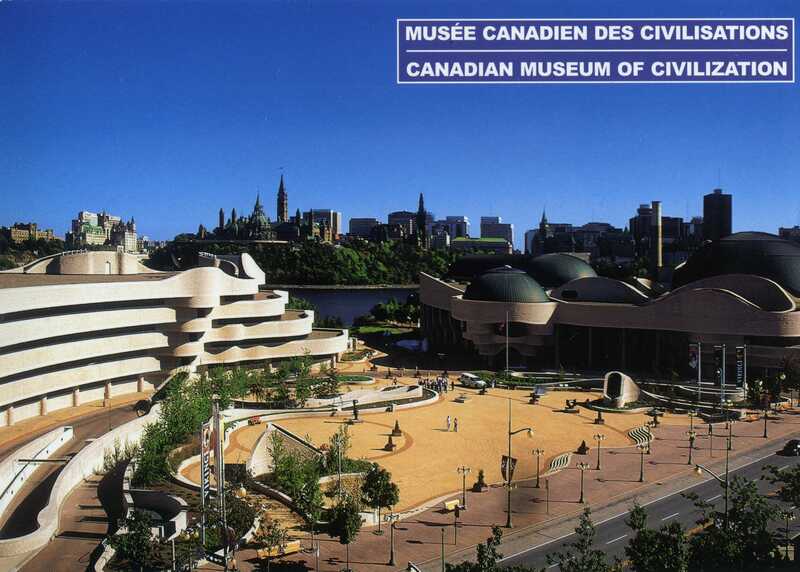 The formerly barren hardscape Plaza that connected these two iconic buildings made for successful postcards, with its position and scale designed to optimize the view of the two museum buildings and the Parliament Buildings across the river. However, lack of pedestrian comfort kept the Plaza empty. 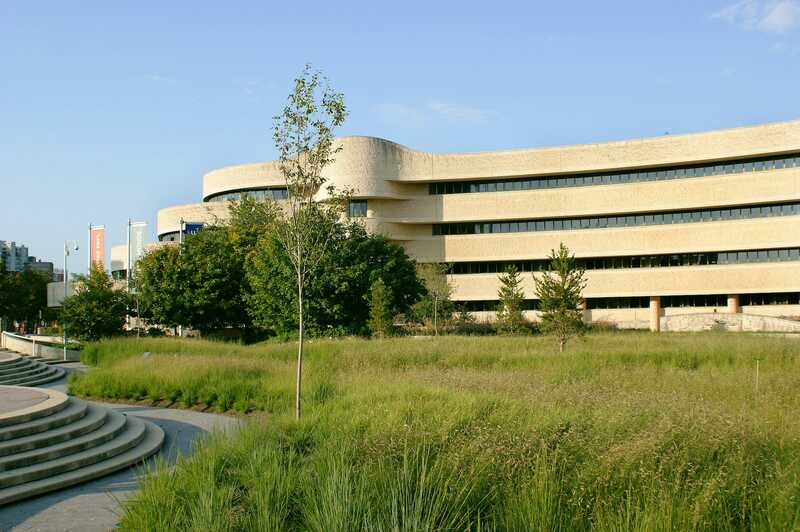 The Museum sought a landscape solution, which we considered as an opportunity to expand upon the conceptual metaphor of the buildings by creating a reference to another signature feature of the national landscape; the Prairie. 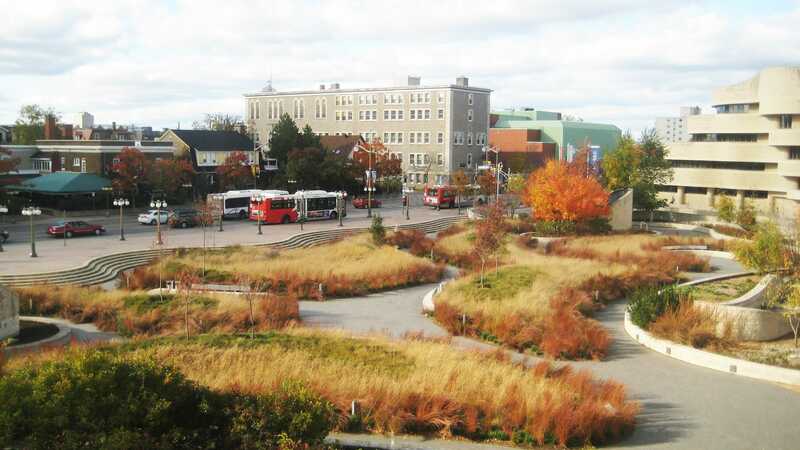 Adapting the prairie phenomenon to the city, the Urban Prairie consists of five earthwork insertions that are embedded into a restored hard-paved surface. 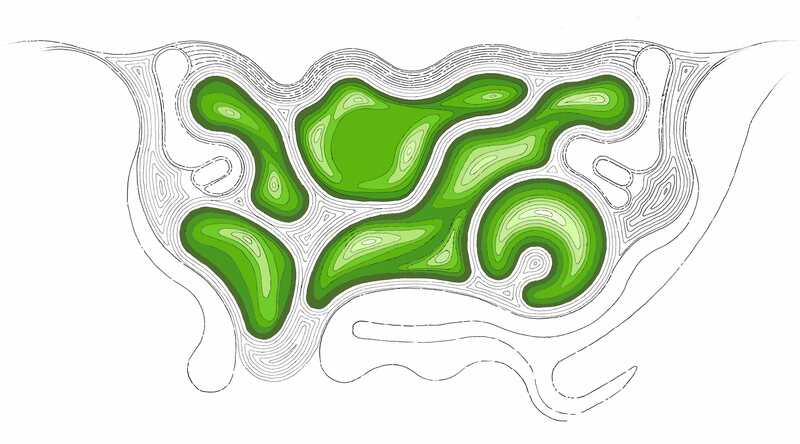 The contour lines set the undulating pattern for the circulation of pathways. Situated on the existing roof structure of a parking garage below, weight distribution was a major consideration. The load of the undulating landforms was reduced through a lightweight soil medium, and mound heights were built up with panels of Styrofoam. Point loads under trees were deliberately positioned over existing columns of the structure below. 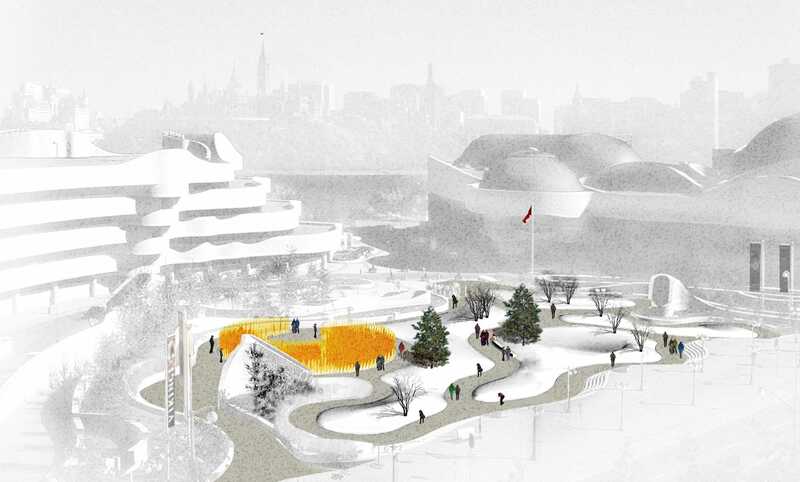 The renewal of the plaza has been designed without compromising pre-existing views such as the famous view framed by the two wings of the museum to the Peace Tower of the Parliament buildings across the Ottawa River and enhances visual interest across all seasons. Formerly, the Plaza was exposed to extremes of summer sun and heat, and winter wind and cold. In addition to pedestrian discomfort, lack of protection against climatic extremes increased stress levels in the plants of the adjacent thematic gardens. The absence of significant features and amenities was another shortcoming that kept the Plaza bereft of visitors. 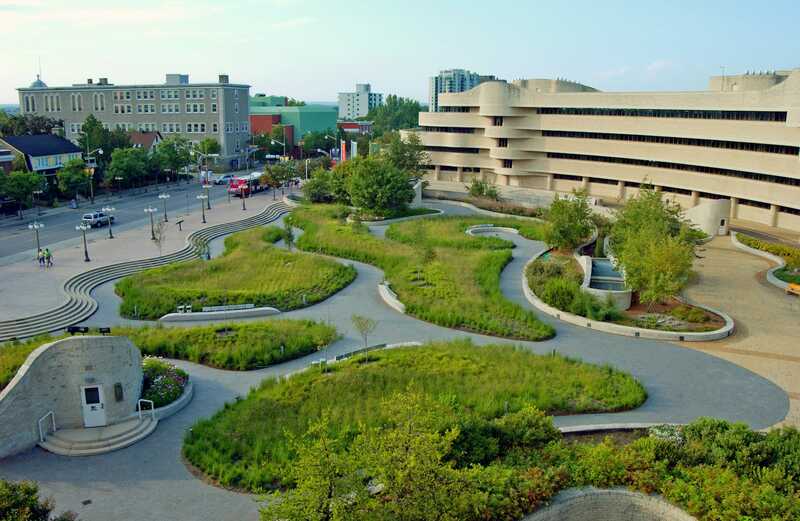 The Urban Prairie grassland insertion creates microclimates, increases urban biodiversity, reduces heat island effect, contributes to air quality improvement, alters the scale of the Plaza towards one that is more human. 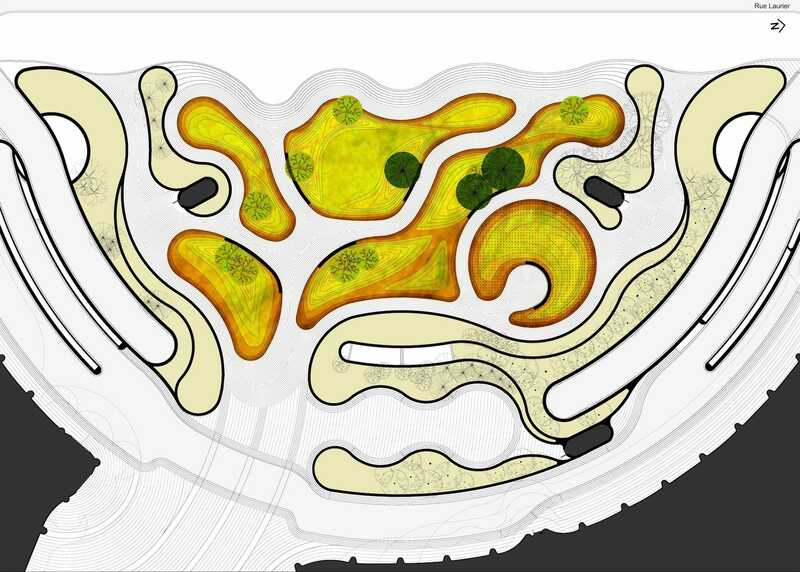 In response, the microclimate was modulated through landforms shaped to integrate the geofluvial character of the museum buildings, with six distinct native prairie grasses planted in horizontal bands along the contours of the mound topography to create dynamic striated motifs of green, yellow, and red that change in hue and texture across the seasons. Points of colour emerge from the native prairie wildflowers distributed among the grasses – Pasque Flower debut in spring; Western Red Lily, Blanketflower, Smooth Blue Aster, Wild Bergamot, and Prairie Sage throughout the summer and fall. A few Serviceberry and Pine give vertical contrast to the horizontal emphasis of the landforms and buildings. The history of the Canadian Prairies is a story about order, courage, and imagination. Urban Prairie aims to manifest the terrain onto which these forces of civilization unfolded, establishing this important and symbolic threshold as a comprehensive part of the public’s museum experience.